Savvy shoppers are always on the lookout fortools that get the job done and don't break the bank. This weekDeWalt's smallest grinder, the DWE4011, made its way onto myworkbench. It looks like the other DeWalt grinders, but it sell ata price much lower than one would expect. Let's take a look, if theDWE4011 is an incredible value, or if it's a lemon you should keepout of your toolbox. At first glance grinders seem to be all aboutpower and performance. If you ask a metal worker, however, you'llfind out that control is just as important. 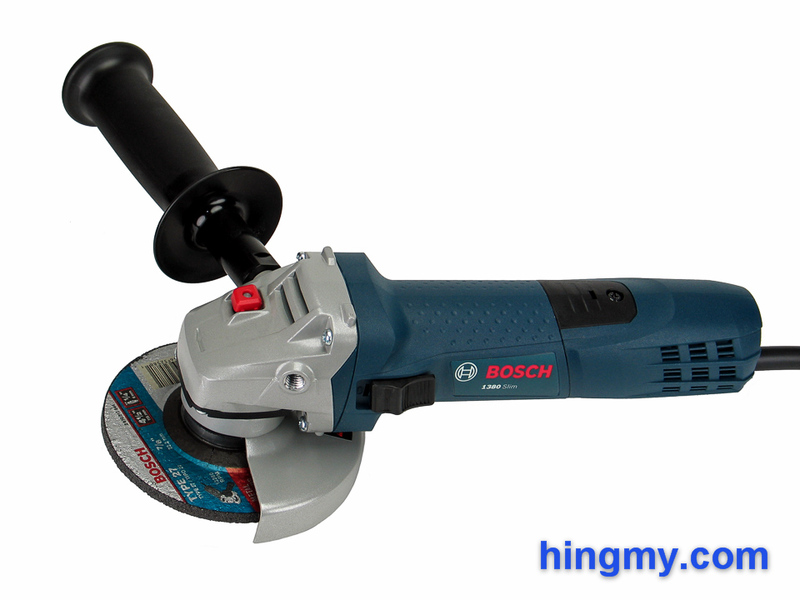 The Bosch 1380 Slimcomes highly recommended by the NewMetalworker, who we respect alot around here. Needless to say, we had to get the Bosch 1380 Sliminto our shop. Let's take look at what it can do. More power is usually a good thing. It usuallygets things done faster with more of a spectacle. What's not tolove about that. 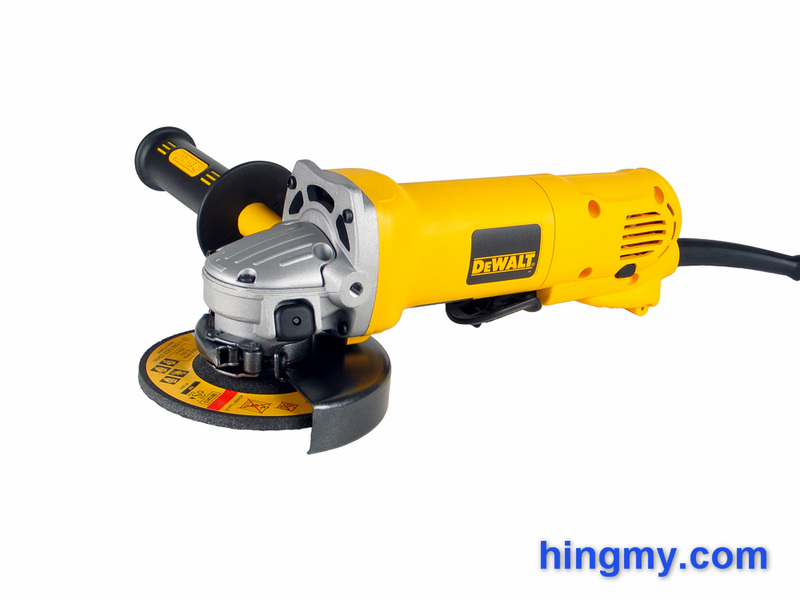 When I had the chance to review the DeWalt D28402angle grinder I jumped on it. This grinder is probably the mostpowerful grinder I can rationalize to keep around the house. Let'stake a look at just how long the spark trail of the D28402 actuallyis. This should be fun. 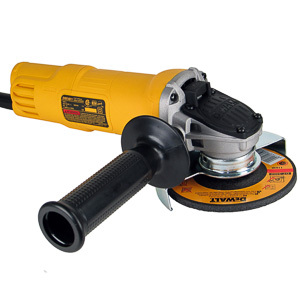 The 4 1/2" angle grinder market is full ofmodels competing for your attention. Prices vary widely, yet allthe entries seem to look the same. This week we decided to pick agreen grinder out of the pile to review in our shop. 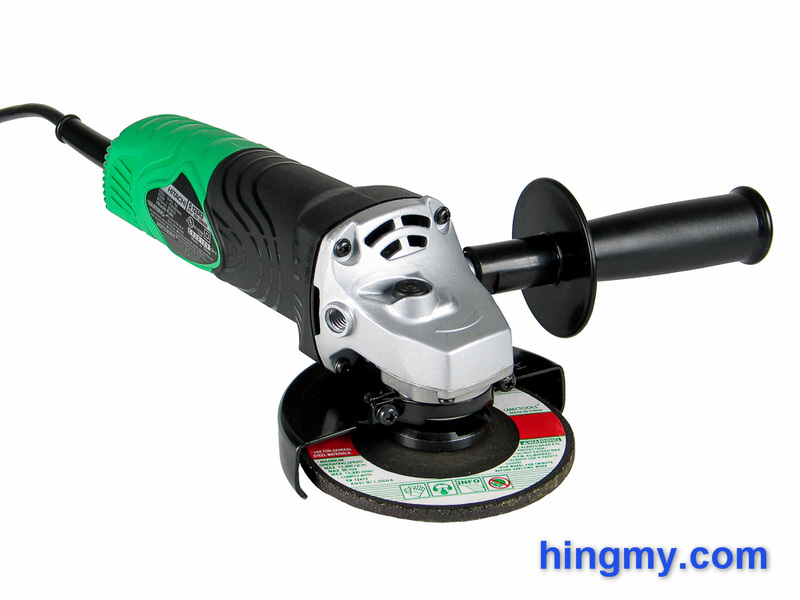 The HitachiG12SR3 is a surprisingly cheap angle grinder that gets greatreviews all over the net. Let's take a look if the G12SR3 candeliver on its reputation in the Hingmy shop. Large grinders are powerful machines. Afterusing one the smaller grinders feel underpowered and fragile.Makita designed the 9557PB to break this pattern. The 9557PB is a small grinder with a large motor. It can dosmall work with the power and speed provided by a full sizegrinder. Let's take a look at what the 9557PB brings to thetable. Grinders are used for cutting and shaping metal or concrete. Wood will catch fire when cut with a grinder. A grinder connects a motor contained in the barrel of the tool to a spinning disk using gears contained in the front of the tool. A Lock-On feature allows the grinders trigger to be locked in the ON position. 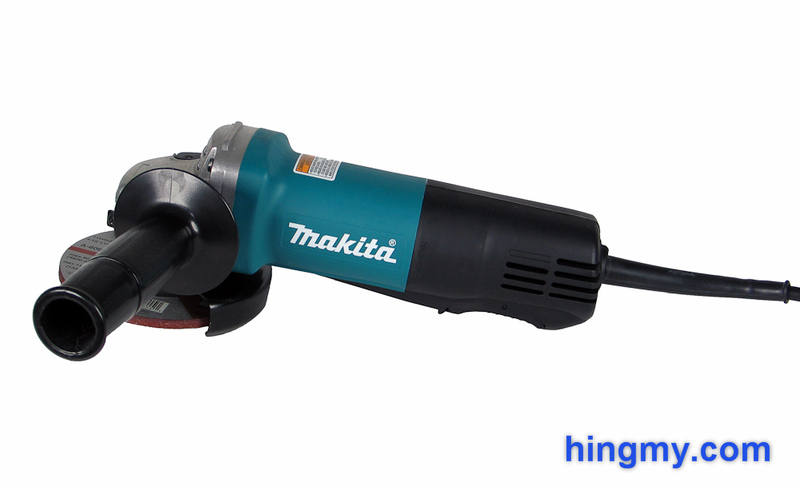 This allows the user to guide the grinder without having to worry about pressing the trigger. font size="2">Grinders with this feature are considered to be less-safe, because they do not turn themselves off when they are dropped. The spinning blade can make a lose grinder "walk" around and become more dangerous than most other tools. Disk size determines the maximum cutting depth of the tool. Half the blade's diameter can be used to make a cut. Large grinders have more cutting capacity, but are harder to handle due to their weight and power. Small grinders can be used one-handed. They work better for grinding and fine work. Large grinders are rough-cut tools. They make rapid cuts in just about anything. The on/off switch of a grinder greatly changes the way the tool is used. The switch either allows the user to control the tool, or gets in the way. Choose a paddle switch for a tool that starts and stops frequently. A switch type or trigger works better for grinders that are used for several minutes at a time. Grinders require power to cut through material. Manufacturers offer many different power levels at each disk size. The larger motors can cut more aggressively and have a longer duty cycle. Smaller motors make for a lighter tool. Choose a motor size that matches your application. Full size grinders demand a full 15 amps of power. Medium grinders work best at 6 amps or more. Small grinders typically have less than 6 amps. "The DWS535 is one of the most powerful 4 1/2" grinders available. It's a top performer and was built to last. This is a great angle grinder." "A small, durable, and agile grinder that scores points by being accurate. Great in a workshop, but lacks power on the job site. One of the best small grinders."